This carpet extractor will out-clean any grocery store machine. 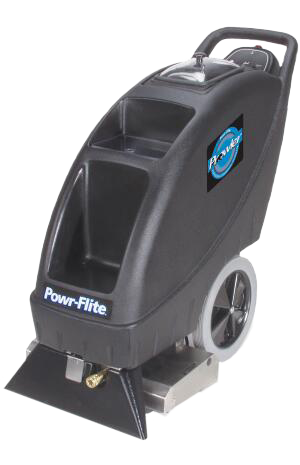 With a 9 gallon tank, 100 psi pump, floating brush and 18" wide cleaning head this machine means business. We stock all of the carpet cleaning solutions well.